PhpmMyAdmin is probably the most-widely used database administration tool. It’s a GUI-based database administration tool which you can use via web browser. You can use phpMyAdmin to manage two popular free database management systems, MySQL and MariaDB. With phpMyAdmin you can create or manage existing databases by just making some clicks without needing to remember the complex SQL syntax. PhpmMyAdmin itself is a cross-platform. You can install this tool individually by downloading the package on its official site or by making use of a bundled software like XAMPP. In Ubuntu, phpMyadmin has been available on the repository list so you can install it effortlessly using your favorite package manager. In this article, I am going to show you how to install phpMyAdmin on Ubuntu using Synaptic Package Manager and apt. I assume that you have installed MySQL or MariaDB and a web server. In this example, I install phpMyAdmin on the local machine. 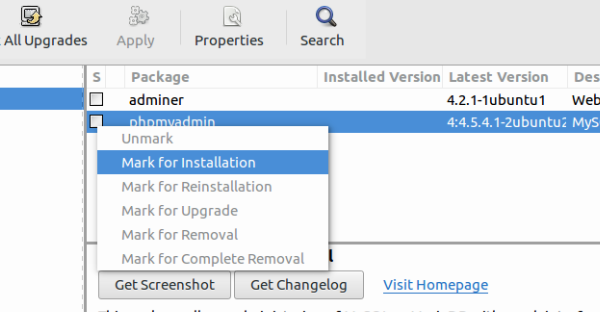 Launch the Synaptic Package Manager and use the search feature to search for “Synaptic Package Manager”. Press the Apply button to make changes and wait a moment until phpMyAdmin is downloaded and installed. 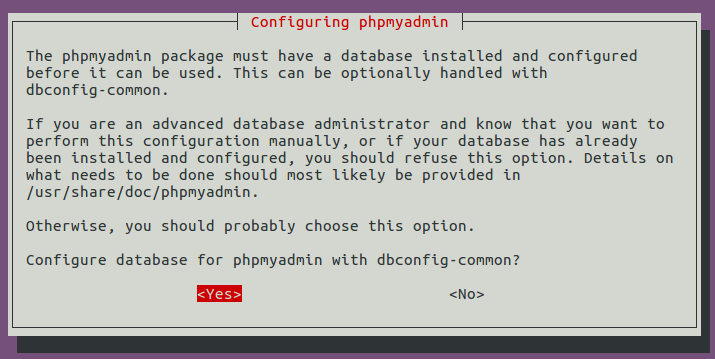 Installing phpMyAdmin on Ubuntu using two methods above you will be asked to make some configuration to finalize the installation process. On the first step of the configuration you will be asked to choose the web server you use. Just choose one (using the space button) and click the Ok button (press the Enter button). 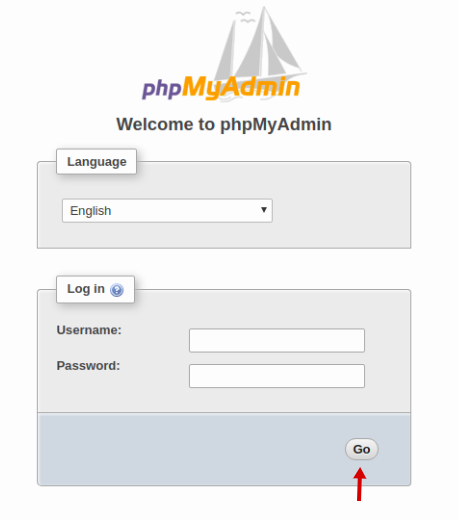 On the next step you will be asked to enter the MySQL application password for phpMyAdmin. 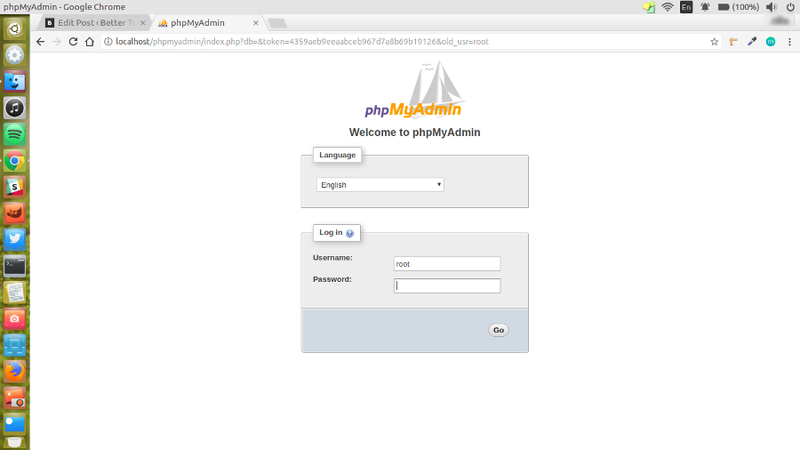 You will need this password to login to phpMyAdmin. Just enter your preferred password and press the enter button. PhpMyAdmin doesn’t require additional settings to run. Once it’s successfully installed, you can immediately run it to start working with. Launch your favorite web browser and type “localhost/phpmyadmin” on the address bar. Enter your database username and password and click the Go button. Done! You can know start working with phpMyAdmin to manage your database.